The honey, orange and vanilla make a great glaze – just sweet enough without being too sweet. 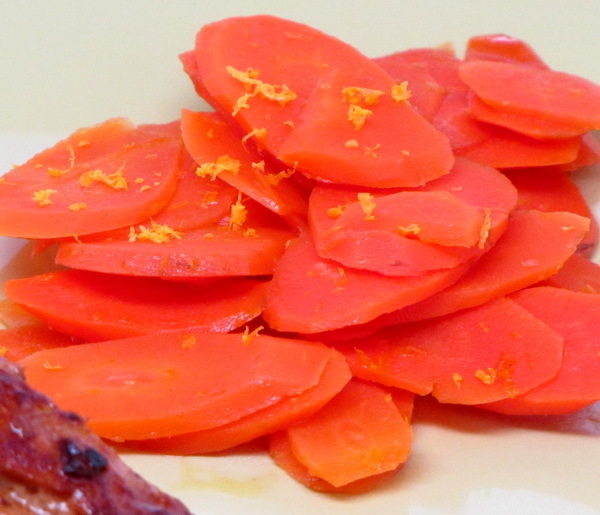 Serve these next to any dish for a colorful and fun carrot recipe. Place carrots and water in a pan and bring to a boil over medium high heat then reduce heat and simmer 8 minutes. Drain and return to pan and add the rest of the ingredients and bring to a boil. Cook 1-2 minutes or until the liquid has reduced to a glaze.